To request a free cost estimate to repair your cracked concrete slab, call us today at 1-844-218-0509 or click below to schedule an on-site inspection in Cedar Rapids, Peoria, Waterloo, Davenport and nearby areas! 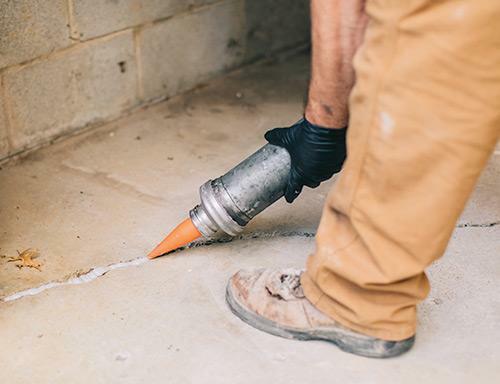 Thankfully, fixing cracks in concrete has never been easier, thanks to a breakthrough in technology only available from MidAmerica Basement Systems and other concrete repair contractors in the Supportworks network. If you have cracked concrete in your home, the local experts at MidAmerica Basement Systems are here to help with solutions to seal your unprotected joints and cracked concrete. 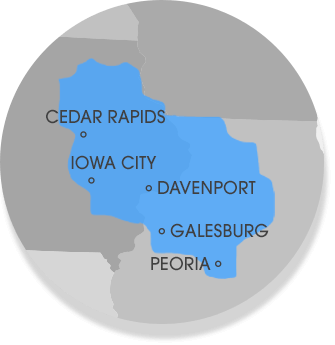 Contact us today for an on-site inspection and free cost estimate for concrete crack repair services in Cedar Rapids, Peoria, Waterloo, Davenport, Normal, Iowa City, Dubuque, Rock Island, Clinton, Moline, East Peoria and the surrounding areas.